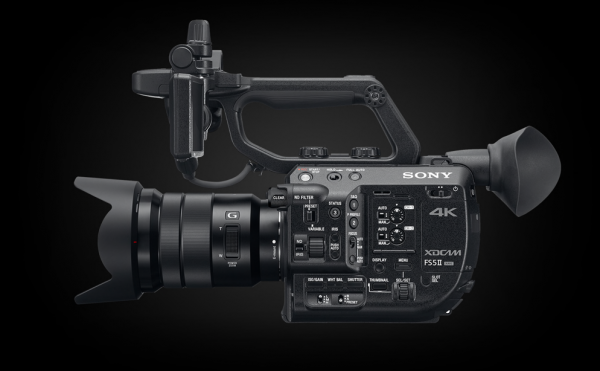 Sony has just unveiled the FS5 II, the successor to the popular FS5 that was announced back in 2015. We still only have limited information about this camera, but we will be updating this post as more comes to hand. Newsshooter is at the Sony NAB press conference where the camera was announced so stay tuned for a video post and more details. A sequel or a re-boot of the original? It’s no real surprise that Sony has decided to update their entry level digital cinema camera. 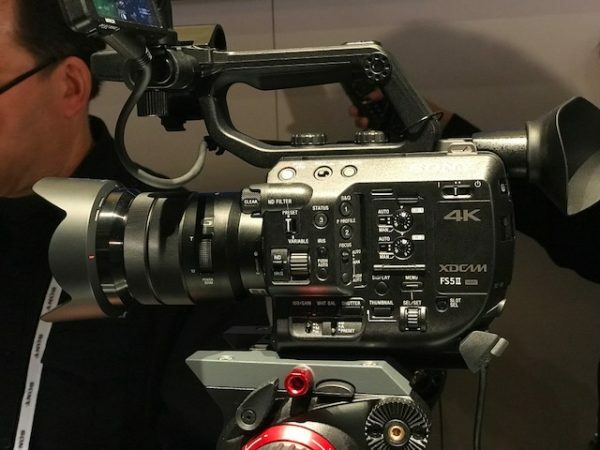 With new competition in the form of the Canon C200, Panasonic EVA-1, and Blackmagic URSA Mini Pro, Sony thought it wise to give the FS5 a make over. While some may argue (and it’s a valid argument) that the FS7 II is the direct competition to those cameras I just mentioned, I think the FS5 II is as well. The FS5 II is not a major departure from the original FS5 and at first glance it doesn’t look that much different. What Sony have done with the FS5 II is similar to what they did with the FS7 II. 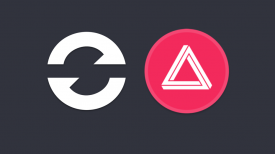 Take an already existing product and improve on it rather than trying to re invent the wheel. Most of the FS5 II’s improvements are under the hood. 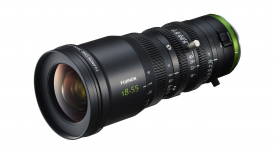 The camera uses the same 4K Super 35 EXMOR sensor that features a claimed 14 stops of latitude as the original FS5. What is different is when it comes to the image processing. Sony say that they have refined the color science, given the camera a more natural highlight roll off, improved skin tone rendition, and created a more elegant and organic looking image (their words not mine). There’s also an additional nine Picture Profiles, including ones customised for S-Log2, S-Log3 and a profile specifically tuned to provide vibrant, high contrast visuals for creators who desire a DSLR-style look. Each profile can be individually adjusted to suit your specific requirements and switched between in seconds. The original FS5 was a great entry level camera for capturing high frame rates, but over the last few years a lot of the competition has started to catch up. To try and keep in front, Sony has slightly tinkered with the high frame rate options on the new FS5 II. The FS5 II can internally record 2K (2048×1080) at 240fps (in 8 second bursts), FHD (1920×1080) continuously at 120fps, and 8 seconds of 480fps and 960fps at lower resolutions through a cache to SDXC media. 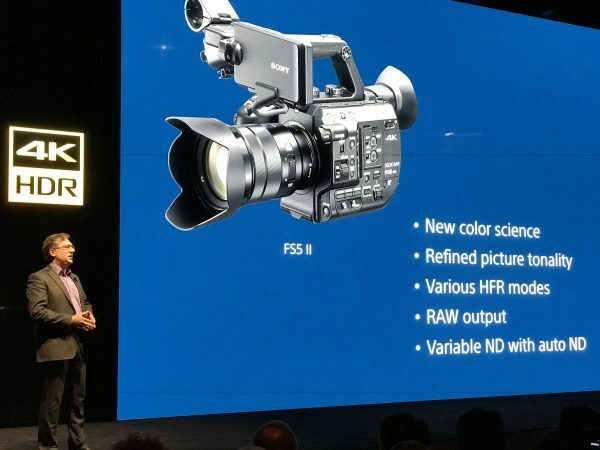 At launch, the original FS5 could only capture FHD (1920×1080) 10-bit 4:2:2 up to 60fps continuously. If you wanted to record higher frame rates (120, 240, 480, 960 fps) they had to be done via a buffered cache recording. With a firmware update that happened in July last year the FS5 was able to record up to 240fps continuously in 2K to an external recorder. Unfortunately this continuous high speed recording could only be done if you had purchased the CBKZ-FS5HFR license which cost $499US. Just like the FS5, the FS5 II has a RAW output that allows you to externally capture 12-bit 4K and 2K RAW to external recorders. In this mode you can capture 4K(4096×2160) 120fps for four seconds and 2K (2048×1080) continuously at up to 240fps. On the original FS5 this was a paid upgrade, and from our initial understanding this seems to be free on the FS5 II. 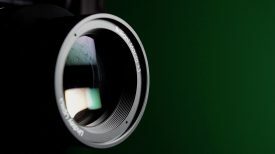 It is unclear at this stage as to whether the FS5 II is also limited to 30p recording in UHD and 4K DCI in a 8-bit 4:2:0 colour space, or whether it has been improved to 10-bit 4:2:2 at up to 60p. This 8-bit 4:2:0 UHD and 4K DCI recording was probably the biggest thing owners of the FS5 complained about. 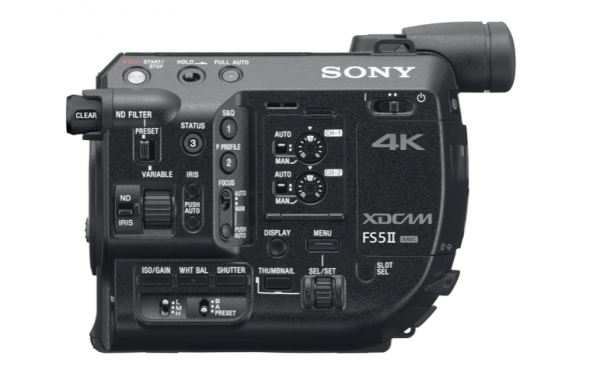 UPDATE: The FS5 II still only record internal in 4K or UHD at up to 30P in 4.2.0 8-bit. The FS5 II will certainly the most affordable high frame camera digital cinema camera on the market. If you like your super slow motion recordings and can’t money up for a FS7 II, the FS5 II looks like a great option. How do these high frame rates compare to the competition? All continuously at up to 60fps. Just as another comparison, the FS7 II records internally in both DCI 4K and UHD 4K at up to 59.94 fps, and in HD up to 180 fps using XAVC-I or up to 120 fps with XAVC-L.
We don’t have any further information at this stage, and all we know is that the camera weighs in at 0.8kg and it has the same variable electronic ND system as the FS5. We also don’t know if the FS5II has been given a more robust locking E-mount. UPDATE: It doesn’t. Like most of Sony’s offerings these days the FS5 II can be used for HDR shooting and is compatible with HLG. Sony are at the forfront of end-to-end HDR production. There’s a primer on HDR and HLG here – it’s a standard developed by the BBC in the UK and NHK in Japan that adapts existing technology and workflows to enable HDR content to be broadcast live. The FS5 II has HLG picture profiles that enable you to shoot in the BT.2020 colour space. 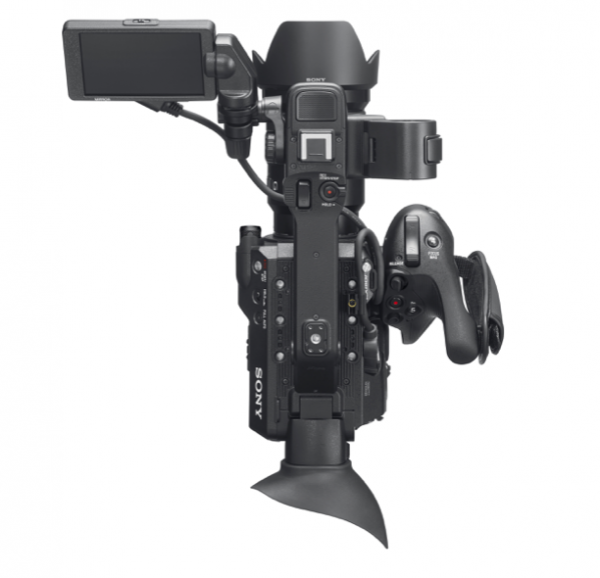 The HLG mode will work with Atomos recorder/monitors. Just like the FS7 II, the FS5 II, is more of an incremental improvement on an existing camera platform. The one thing Sony do have in their favour is the price point. 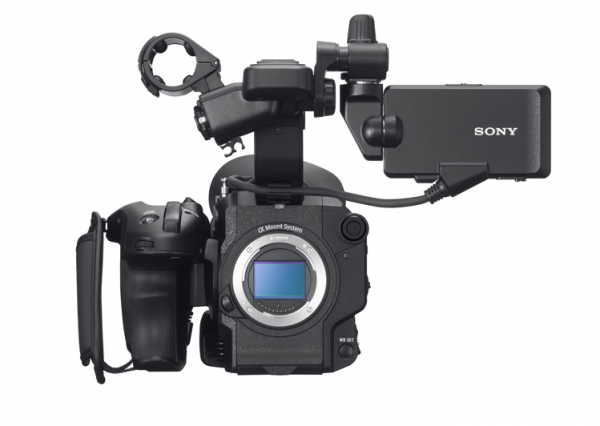 The FS5 will probably be considerably cheaper than the Canon C200, and EVA-1. Because Sony have so many camera models the FS5 II was never going to have better specifications than the FS7 II. Sony haven’t really swung for the fences with the FS5 II and decided to play it safe. 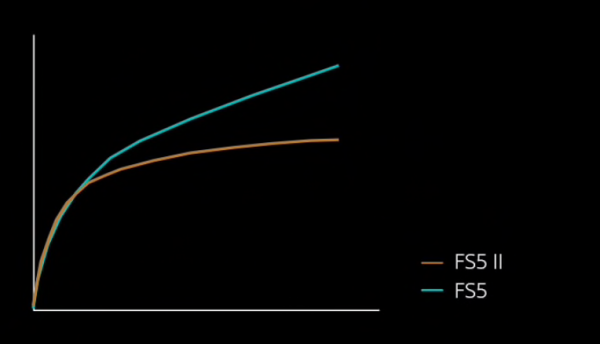 Just whether existing FS5 owners will be running out to upgrade we will have to wait and see. The FS5 II will start shipping in June 2018. What do you think about the FS5 II? Would you buy one? Are you disappointed by this announcement? What features do you think are missing? Let us know in the comments section below.